A session will usually consist of a postural and movement assessment, followed by a combination of bodywork and movement training. The bottom line is always the same: let’s help you move and be with more freedom, ease and joy, and less pain. We’re on the same team. You’ll be actively engaged through much of our work together. I’ve found this approach to not only help the work we do be more efficient, but also to integrate these new movement patterns into your normal life, outside of this office. The work we do together can range from very subtle to more overtly engaging and deep. I’ve found in my experience that deeper is not always better, nor is it always worse. What’s important is that we are helping your body unfold in a wise, effective way, no matter what depth and pressure we’re working at. 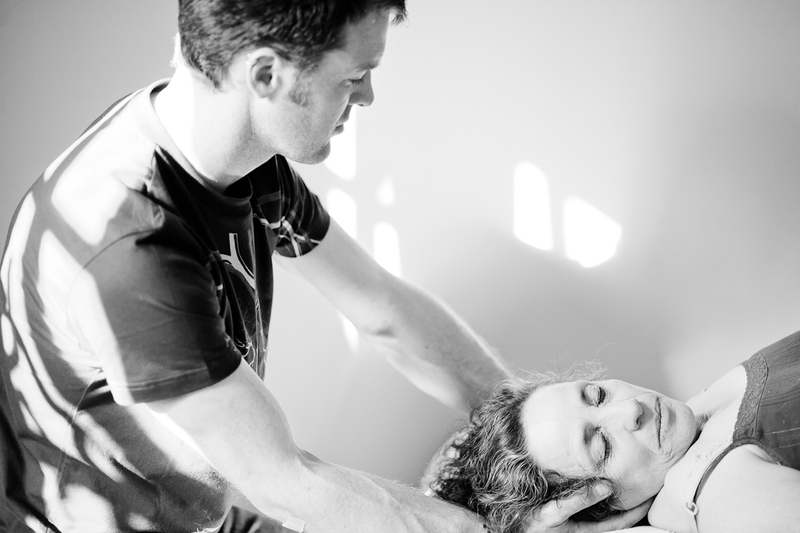 A session might include more subtle modalities like craniosacral therapy, visceral manipulation and gentle awareness exercises. It might also include bigger movements like releasing large planes of fascia from restrictions, deep tissue massage and more exercise-like movements. I often offer homework after a session to help integrate the change into your life. There is lots of overlap in these ways of working, as it’s all work with the same system: you! Always and of course, nothing will be forced upon you: I’ll offer my professional opinion and we’ll make treatment decisions together. More on KMI structural integration: a system-oriented way of bringing a whole person—you!—towards greater ease and alignment. Structural work tends to be quite good at relieving chronic patterns, the kind of patterns you may well have been moving from since you were a kid. How are you carrying yourself day-to-day? How are you moving through the world (including rest, work, and sports)? And quite importantly, how does that affect your overall vitality and susceptibility to illness and injury? KMI Structural Integration (SI for short) consists of 12 sessions, sometimes one or a few more. In this series, what we do each session is tailored to your particular structure and its postural and movement patterns, and largely to your goals, to why you’re here in the first place. Each session will work with a specific territory of your body each time in a way as the series unfolds with a certain momentum and, in my experience thus far, a pretty profound intelligence. The changes during an SI series are literally meant to last your lifetime. For more on KMI Structural Integration, here’s a blog post you may find helpful. 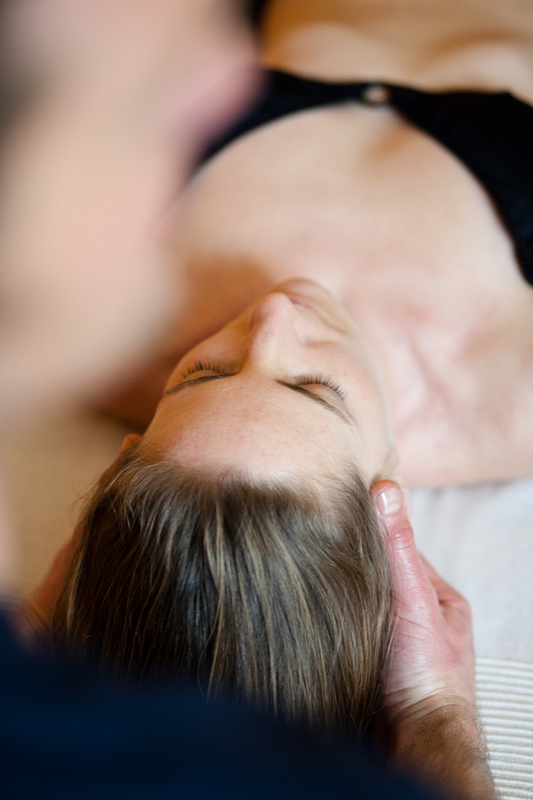 We can also do an “Intro to Structural Integration,” a Structural Bodywork series, of three or four 75-minute sessions. 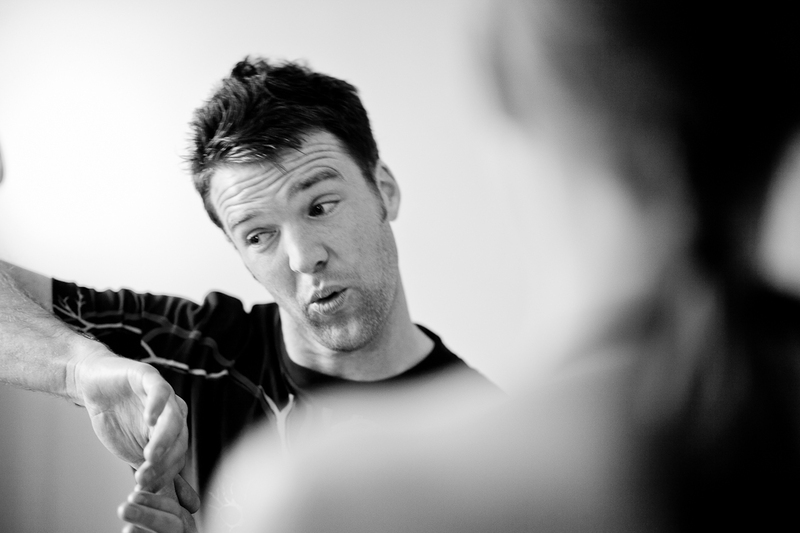 Other bodywork work we might do together will depend a lot on what you’ve got going on. If you’re recovering from a recent and acute injury, we may well want to at least start here to gain mobility, resilience and balance in the injured tissue. Then, if we saw fit, we could go onto something like an SI series. What’s best for you? If you’re unsure, I’d recommend you sign up for a 75 minute session, and we’ll have a lot more information after a first session together. Here are few more photos of what any session might look like. You’ll be actively engaged through much of our work together. I’ve found this approach to not only help the work be more efficient, but also to help these new movement patterns find their way into your regular life.